I just realized that I have not had a blog post in over a month. It seems like when we turn the calendar over to April, the school year really starts speeding by. Well recently I just finished reading a pretty good book that was recommended to me by a close friend. The book was titled "Culturize" by Jimmy Casas. The book is mainly talking about the types of cultures in the school systems and the things that we may be able to do to improve the culture at our school. I certainly would recommend this to anyone, simply because the suggestions can be applied to any business, industry or even our personal life. Several of the quotes that I really liked from the book are: "You only need one person to believe in you to succeed. It's a lot easier if that person is you". "Unleashing true potential begins by removing the labels that hold children hostage". "Approach each situation with an understanding that at the heart of every problem is a conversation to be had". And finally, "Everyone has a savior, but it isn't always going to be you...but it doesn't give you an excuse not to try". The book was inspiring and reflective. It gave me a chance to look at the culture of our school and the chance to evaluate myself and see how I am improving the culture at Vantage Career Center. First of all, I would like to say that as I reflected on our culture, I was pretty happy with what I observe around here everyday. The culture that Mr. Casas is trying to get the schools to buy into, is that every student should feel important. To make every student feel that their voice is heard and that they are respected. We should make our students feel that they are learning the skills to make them successful in life. At the same time, we also hold our students to a higher standard. We let them know that we expect their best at all times. I have mentioned before in my blogs how awesome our staff is and how much I appreciate the work they do around here. As I read this book and listened to Mr. Casas suggestions, I already see so many of the things he recommends being done around Vantage. I see so many of our staff talking privately to a student because that student is having a bad day. I notice our staff laughing and joking with students at lunch time. I have overheard our staff asking about a sick parent or grandparent and showing the student compassion and empathy. 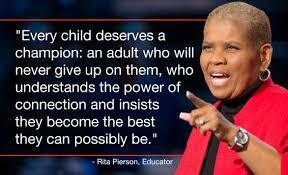 I also see our teachers and administration holding our students to a higher standard. Our students know to take their hats off immediately when they enter the building or push their chairs in after eating lunch. When guests are in the building, the students greet them a smile or handshake. These aren't just my observations but also comments that our graduates have left behind. They mention that they were always treated like an adult. That they were listened to and taken seriously. With all that said, I realize that we are not perfect. I realize that there are other ways we can improve and that some suggestions can be implemented with a little work. I realize that Vantage students are deserving of our most courteous and attentive treatment, no matter what kind of day we are having. I realize that Vantage students are people who bring us their needs - it is our privilege to help fulfill those needs. And I know that the Vantage students are the most important people on our campus, they are not an interruption - they are the purpose. I can't help but think about the students that left here early or didn't come back their final year. Or the students who were not greeted in the morning or I missed saying happy birthday to them. I know they are out there and I know they exist. Saying that I have over 400 students to know and take care of is only an excuse. I only hope those students have been successful after they left Vantage. I hope to get to know each Junior better than I do now and to send off the Seniors with the knowledge that they were cared about and prayed for. I look forward to the incoming students next year and hope to make a difference in their lives, as I know all the staff here at Vantage will. We only see these students for a short time, two years at the most, but we make an impact either way. Our impact is either positive or negative. I truly believe with all my heart that the entire staff here at Vantage tries their hardest to make that impact positive. I get asked a lot about how many years I have left here at Vantage. Hopefully it's not because I am looking really old or they want me to go (LOL. Just kidding). However, I do reflect on that question and I usually respond, "As long as I am making an impact with these students, I think I will stick it out". I feel I have the greatest job in the world just being around these students everyday. I also believe that is how our teachers and administrators feel. We have a unique opportunity here, we are "Molders of Dreams". I want to personally thank each and every parent for allowing your son or daughter to be a part of this great big family. Thank you! The other day I got a great idea for a blog from our Network Systems teacher, Mr. Larry Regedanz. Mr. Regedanz constantly tells his students that "Your aren't going to be a master at Network Systems or any other program when you leave Vantage, but you will have a great head start. And you get out of it what you put into it over the course of your career, so start NOW and make every minute count." What great advice to our young students and not only is it great advice, but Larry passed on an article that backs up those claims. The article was titled "10,000 Hours of Practice", written by Raymond T. Hightower. It is based on the book Outliers by Malcolm Gladwell. Mr. Gladwell says that it takes roughly ten thousand hours of practice to achieve mastery in a field. He came about this conclusion by studying the lives of extremely successful people to find out how they achieved success. One of the studies that I found very interesting was in the early 1990's, a team of psychologists in Berlin, Germany studied violin students. They studied their practice habits from childhood all the way into adulthood. By age twenty, the elite performers averaged more than 10,000 hours of practice each, while the less able performers had only 4000 hours of practice. This study also debunked the idea of "natural talent" because no naturally gifted performers emerged. He gives example after example including Bill Gates and the number of hours he put into code writing before starting Microsoft, and he talks about the Beatles and how they played over 1200 concerts together before 1964, the year they finally broke onto the scene. You can check out his article here. Did you know that if you are working in your target profession, forty hours per week over five years would give you the ten thousand hours. Or maybe you have hobbies that you really enjoy and people always admire your work, for example, woodworking. You might have several thousand hours into that hobby already and just need to continue practicing to get to the 10,000 hours. The idea is that the practice should be fun. We should fall in love with what we do so that it doesn't even feel like practice. Then eventually we fall into a career that we absolutely enjoy and it doesn't seem like work at all, and we are pretty good at it too. For all of our students here at Vantage, you chose a career that you found interesting and worked hard at it. Do you realize that after 2 years, you have almost 1000 hours of practice. You have accumulated that by only going to lab 2.5 hours per day. Can you imagine when you start working in your career that you will have 1000 more hours of practice then students who chose not to come to Vantage. I hope all of you will find that passion in your life and land that job that you absolutely love going to everyday. I hope that you continue to get better and better and love what you are doing. However, please realize that being great at something doesn't come easy and it isn't just given to you. 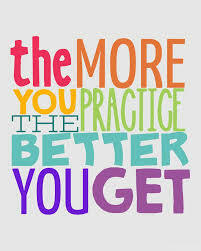 You need to practice, practice, practice. Oorah is a battle cry common in the United States Marine Corps since the mid-20th century. It is most commonly used to respond to a verbal greeting or as an expression of enthusiasm. Well when I think of one of our fine young students here at Vantage, I can't help but say "Oorah" when referring to his outstanding accomplishments. Austin Weyrauch is from Ft. Jennings high school and a senior in our Precision Machine program. He is currently carrying a 4.0 Grade Point Average for the two years he has been at Vantage. Austin has not missed a single day this year and only two days last year. Austin is one of those fine young men that you can ask him to do anything for you and he will immediately respond with a resounding yes. He never backs off from any work and he gives 100% at everything he does. All the above accomplishments, though outstanding, are not the real reason that I write this blog about Austin. The real reason is that last weekend Austin became an Eagle Scout in the Boy Scouts of America, and he did that by accomplishing all the needed merit badges (21) that are required and also completing his Eagle Scout project. 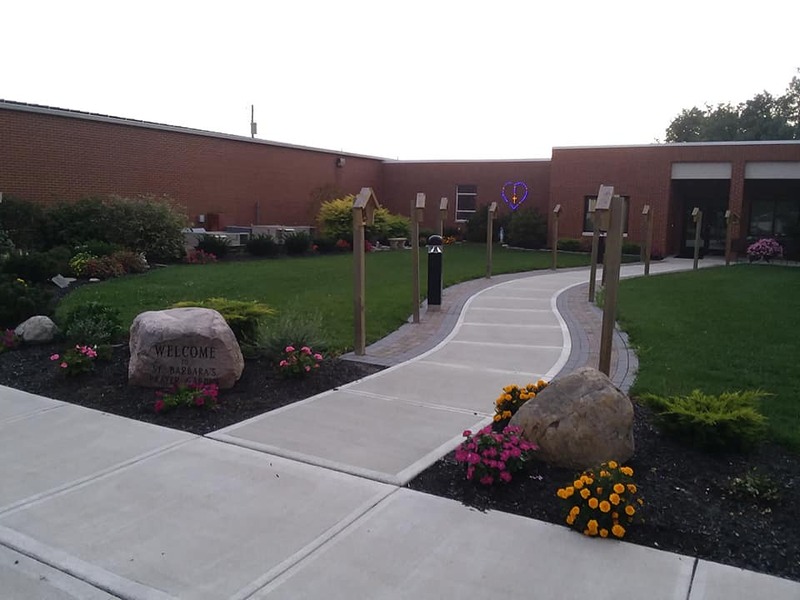 Speaking with Austin, I found out that for his Eagle Scout project, he re-created all the Stations of the Cross outside St. Barbara Catholic church in Cloverdale. Austin worked with his grandfather on this project and spent over 40 hours working to complete this project. The stations were made out of cedar and basically they were replacing the ones that were destroyed during a past tornado that went through town on November 18, 2013. When you think of all the time that was put into this project and keeping up a 4.0 GPA, it really shows the type of person Austin is. You wont find Austin playing video games in his spare time because there usually isn't any spare time. However, the story doesn't end there. 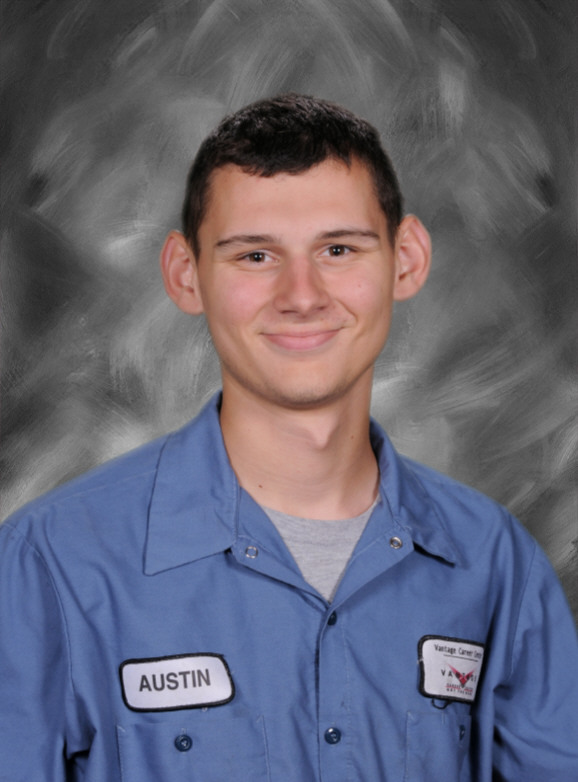 Austin also works at Federal Mogul here in Van Wert. Because of Austin's high grades and perfect attendance, he is allowed to leave for work after he finishes his academic classes around noon each day, and he works until 7:00 pm. Oh, there is one more thing...Austin is going into the Marine Corp after graduation and has been doing his conditioning and physical training with the corp on weekends so that he can go directly into basic training. Now that deserves an "Oorah". Congratulations Austin on all your accomplishments and thanks for choosing Vantage Career Center for your final two years of high school. Well we have turned the calendar to February and the Groundhog didn't see his shadow, so that must mean we are nearing Spring. At least we all hope so. I think we are all tired of the cold weather and snow. What this also means is that we are getting closer to prom season. Proms have changed a lot since I was in high school. I know for one thing, they cost a lot more money now then they did a few years back. It seems students like to rent limousines, tuxedos and buy beautiful dresses. I just read that according to a 2015 survey from Visa, American families were spending an average of about $919 on their proms. Prom dresses can average around $400. You can see why students start getting really anxious about their proms around this time of year and wondering how they are going to pay for all of it. Well let me tell you about a fantastic organization that I try to promote every year. I believe this should take some stress off of you and cut your prom cost down significantly. It is called the "Don't Stress Over the Dress" event. This is the 11th annual event. Let me tell you a little bit about it so that you can take advantage of this event if you are in need. The event is held on Friday, Saturday and Sunday, March 8th, 9th and 10th. On Friday it is from 3:00 pm until 8:00 pm. Saturday is from 11:00 am until 5:00 pm and Sunday it is from 1:00 pm until 4:00 pm. This event is held at the Findlay Village Mall in Findlay. Any girl that is attending prom and is in need of a prom dress is welcome to attend. Each girl is allowed to receive only one dress. Each girl may bring one female guest to help her shop and an adult cannot shop for a girl unless the girl is present. There will be over 800 next-to-new, current gowns available at NO CHARGE! Some of the gowns still have tags on them. They also have shoes, jewelry and other prom related items. You can follow this event on Facebook at "Don't Stess Over the Dress". Now if you are not a student but think this is an awesome event and would love to help them out, then there are several ways. If you have a gown to donate, you can drop it off up until Monday, March 4th. They also accept purses, jewelry, shoes, wraps, shawls, un-opened hosiery, make-up, perfume, and hair products. They have nine drop-off locations. You can check their Facebook page to see the drop-off locations, however there is one nearby in Convoy. The one in Convoy is at Scott Quarry, 2364 Richey Rd. and ask for Lori Brooks. I really hope that everyone here would take advantage of this great event if you can not afford a prom dress for yourself. Please don't put the added pressure of buying a dress ruin this magical night. You are only a senior once, so enjoy this evening stress free and without going broke. And remember, be smart on prom night and make good choices. All of us truly care about you and your safety. I would like to close by thanking everyone who is involved with this great event and for all the work that you do. You have no idea how many people you have helped and made someone's night a lot brighter. I guess it depends on whether you like snow or not but I feel this has been a great winter so far. It was only a couple weeks ago when we were enjoying 50 degree weather. However, I believe this snow we had over the weekend is just a small sampling of what we may deal with for the next couple of months. I understand that we may encounter some ice tomorrow night and the meteorologists are talking about another possible storm this weekend. I guess I would just like to take this time and remind everyone to be careful on the road whenever you are out driving. 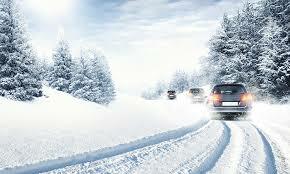 I know our school systems will delay or cancel whenever they feel it isn't safe to be out on the roads. I also know that when school gets delayed or cancelled, the students will head out to friends houses, the mall or sledding. I just ask that you be extra careful on the road. I heard a highway patrolman on the news the other day saying that weather doesn't cause the accidents, it is unsafe driving that causes the accidents. His point is that when it is snowing or icy, we need to slow down. The reason I felt the need to write on this topic today, even though all of you may feel you hear this over and over, is because of a story that was related to me this morning. One of our staff members was coming in today from the Paulding area and a semi-truck ran through a red light. The truck missed this staff member by less than 6 feet. I don't know what was going on in the mind of the truck driver. I don't know if he felt he couldn't stop, if he was distracted or some other reason. I do know that had it been 5 seconds different, this staff member admitted that they would not be alive right now. I shutter at the thought and thank God that the accident never happened. I hope all of you see that your life can change in a flash, in a twinkling of the eye. I can't stress it enough, please be extra careful out on the road this winter. I care about all of you and I don't want anything to happen to any of you. Slow down, look two or three times, watch for the other guy, do whatever it takes to arrive to school safely. 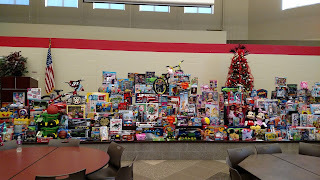 Well once again, the staff and students at Vantage Career Center did an outstanding job in raising money to purchase toys for so many area children. Mrs Amy Grothouse has led this charge for the last six years and will be stepping down after this year. I know all of us want to thank her so much for taking this task on and doing such a great job with it. So many children have been touched by this program over the years and Amy has the stories to go with it. If you get a chance, just ask her about some of the stories she has heard over the years and even an interesting "marriage" story that she just heard about this year. 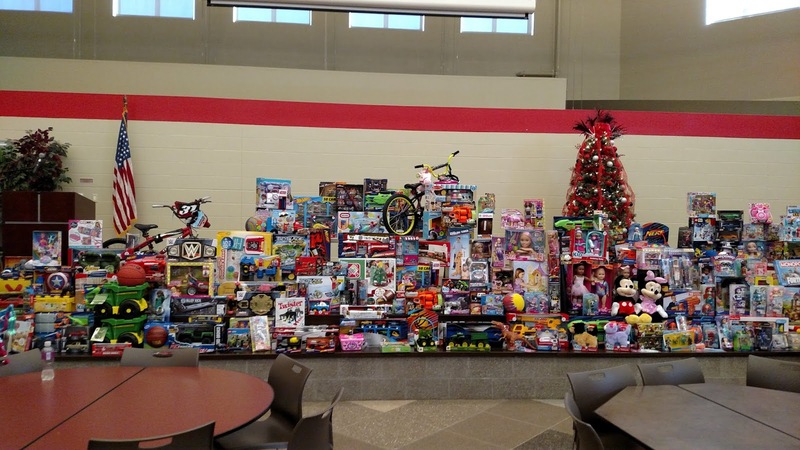 Thank you Amy for making Christmas special for so many children. Mrs G. read off the totals at lunch time today and they were impressive. We have several days where we raise funds for this project and each one was a great success. Our change stall day raised over $702 dollars. The colored extensions day made over $202, this is led by Mrs Smith and the Cosmetology students. This money was raised just during lunch time on a single day. The ugly sweater contest raised over $100. With several jeans days and other events, the grand total for this year was $4077.91. WOW! That is truly amazing. Now this is the true spirit of Christmas giving and making so many young children happy on Christmas morning. I know Mrs Grothouse can't thank all of you enough for all that you have done for her over the last few years. This just shows what an awesome Vantage family we have. Thanks again and I wish all of you a very Merry Christmas. Once again I get to write a short blog to honor one of our fine young students here at Vantage Career Center. 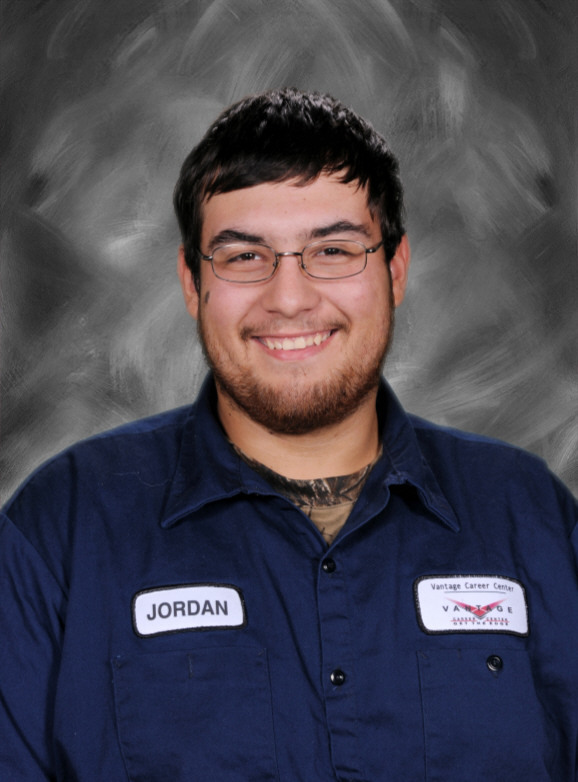 Jordan Lofton, Senior Welder from Ft. Jennings, has just earned his Eagle Scout award. Just last year we were honored to have two students earn this award and now this year Jordan adds his name to our growing list. This is such a great accomplishment that I am always thrilled to spread the news whenever it happens. Earning the Eagle Scout award is a big deal. According to the National Eagle Scout Association, only about 5% of all Boy Scouts earn the rank of Eagle Scout. 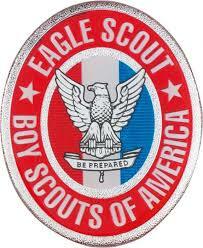 To become an Eagle Scout, you must earn a total of at least 21 merit badges, including the following: First Aid, Citizenship in the World, Communication, Personal Fitness, Emergency Preparedness, Environmental Science, Personal Management, Swimming (Hiking or Cycling), Camping, Cooking and Family Life. They are also required to complete a service project. Jordan completely revamped a small area of the outdoor Science lab at Ft. Jennings High School by having stone brought in and spreading it out around the grounds. He also built two picnic tables at the site because the other ones were completely ruined. The amazing thing about this project is that it didn't cost Jordan anything to accomplish this task except some sweat and hard labor. Vetter lumber in Ft. Jennings donated the wood for the tables and Mr. Langhals had the stone brought in for the project. Jordan said the entire project, from planning to completion, took about a month. The Eagle awarding ceremony took place on November 11th. Jordan is now an official member of an elite rank. If you get the chance to speak with Jordan, please congratulate him on this great honor and take some time to really get to know him. Jordan is a quiet leader. He may not have a lot of words but he is a great person and very kind and thoughtful. Thanks Jordan for being an inspiration and living up to a very high standard.